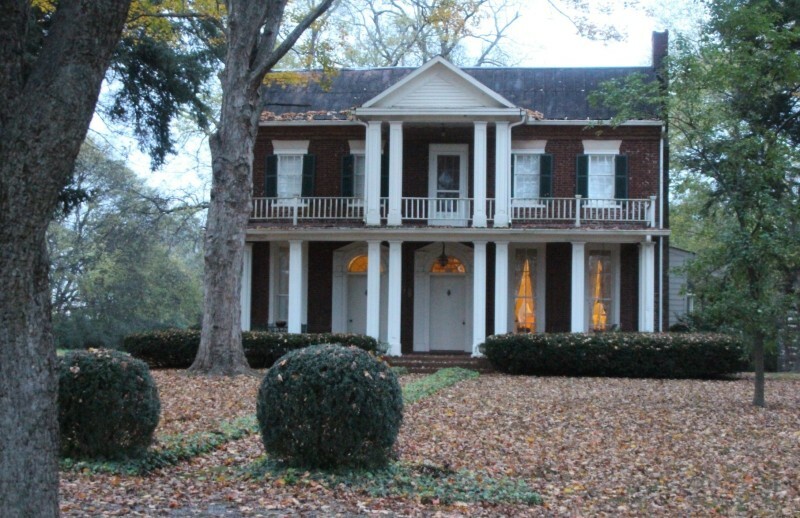 Preserving a 205-year-old Southern mansion which at one time was the largest in Rutherford County was a primary concern of neighbors and activists speaking to the Murfreesboro City Council Thursday night. The zoning would allow up to 277 units of multifamily housing on a 17⅓-acre plat, but it drew protests from neighbors, ecologists and historical preservationists at the council meeting. The developer is asking to have the long, narrow strip fronting on Manson Pike annexed and zoned multifamily residential (RM-16), which allows 16 apartment units per acre, according to Principal Planner Margaret Ann Green. Clyde Roundtree, representing the developer, showed the council a sketch of plans that would place the two- and three-story apartments along the outer edges of the property, surrounding the historic house on the site. Roundtree assured the council that the developer is concerned about the house and wants to preserve it if he can. When local residents asked for a commitment to preserve the house, however, developer Charles Haskins said he couldn’t guarantee that. Neighbors explained that the two-story white-columned mansion, Springfield House, was built between 1805 and 1810. Heather McQuiddey, one of the neighbors, said the cemetery adjoining the house is on the National Register of Historic Places, and the house should be as well. Pat Saunders, who has lived nearby for much of her life, said she recalls touring the home in the past, and agrees that the house and cemetery need to be preserved. A third neighbor, Karen Place, asked with tears in her eyes that the home and its surroundings be preserved. “This is like sacred ground,” she said. However, the historic value of Springfield House isn’t the only reason activists opposed zoning the property to allow multi-story apartments to be built there. Chuck Sutherland, a cave expert from Tennessee Tech, told the council that the land is a karst region with a major cave network running underneath, which could make it too unstable to support an apartment complex. “There is a long, water-filled cave passage under the north side of the property, and it already has sinkholes,” Sutherland said. And Saunders echoed his concern, requesting that the developers look underground before they start building on the land. McQuiddey pointed out that the cave system opens at the edge of the property in question, toward I-24 – and that at peak wet periods, the cave empties about 250 million gallons of water per day into Overall Creek, which runs along one edge of the property. Other neighbors emphasized that the developer has changed his plans three times so far and is unwilling to state any guarantee about what would be done. In the end, Councilor Ron Washington agreed that there are too many questions and not enough answers. “There are just too many issues with this land,” he said. Then he moved to defer the zoning request to allow time to study the issue farther. Councilor Eddie Smotherman seconded Washington’s motion, saying he’s not comfortable with not knowing what is planned. He also requested the developer have a geotechnical study of the property done. Mayor Shane McFarland suggested that the developer come back with a planned residential development and that he consult with staff from the Planning Department to see what kinds of studies need to be completed to guarantee the feasibility of the plans. The council then voted unanimously to defer action on the zoning, which effectively stalls the annexation as well. Writer Connie Esh can be contacted at cewrites@yahoo.com.